Plus… Spice Road Table now open in Morocco, News on Magic Kingdom’s Festival of Fantasy parade, and more! The New Year is upon us, and with it comes a plethora of exciting news! Walt’s Florida Project is abuzz right now. 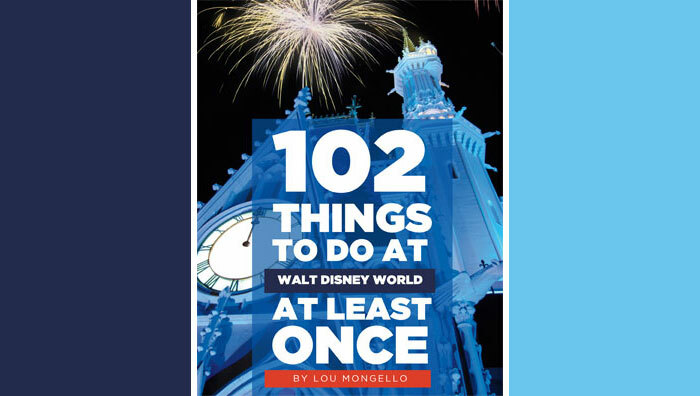 From new attractions to dining locations, even parades, there’s no doubt 2014 has a lot of special memories and moments in store. So let’s get to it. 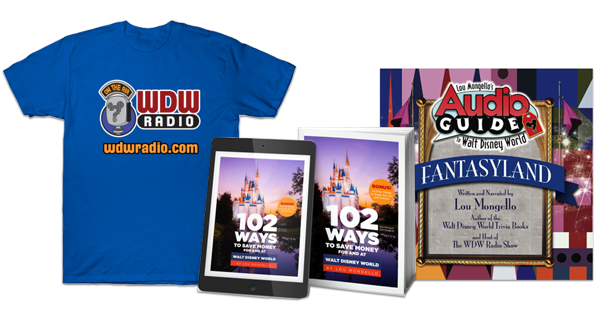 Time for the latest edition of the WDW Radio Newswire…..
We begin this edition of the Newswire inside Disney’s Animal Kingdom, where ground has officially broken on the future site of AVATAR Land. Camp Minnie-Mickey drifted into the realm of extinction on Sunday January 5th, and within days a special ceremony took place, the site was promptly walled off, and the first shovels hit the dirt. Executives from both the Walt Disney Company and Lightstorm Entertainment were on hand for the ground breaking ceremony. Jake Sully was even in attendance for the big moment! Construction will be ongoing at the site for the next three years, with the first phase of the new Land expected to open up in 2017. Time to park-hop over to Magic Kingdom now, as there are several newsbits to report. Let’s begin with some parade news. The “Celebrate a Dream Come True Parade” took its final stroll down the streets of the Magic Kingdom on Saturday January 4th. The popular daytime parade made its debut on the afternoon of January 23rd 2009, giving it a respectable run of nearly five years. But with every sad ending comes an exciting new beginning, as a brand-new parade is already in the works. Planning and float construction have been underway for several months now for the “Disney Festival of Fantasy Parade.” This new parade is scheduled to debut at Magic Kingdom this Spring, and it will feature floats and characters from some of Disney’s most beloved films. Concept art was released last Fall for Little Mermaid and Brave floats, at which time it was also confirmed floats for Dumbo, Tangled, Peter Pan, and Pinocchio would also be in the mix. Well, last week another float was confirmed for Festival of Fantasy, as Sleeping Beauty super villain Maleficent was revealed. Appearing in dragon form, Maleficent will dominate the streets of Magic Kingdom measuring in at a length of 35 feet and a height of 26 feet. For more news on the Maleficent Dragon, click here. You can click here for more info and concept art for the Disney Festival of Fantasy Parade. For more news out of Magic Kingdom we now venture into the Land of Tomorrow, where a popular quick-service spot is undergoing a bit of a makeover. Construction is underway on the patio at Cosmic Ray’s Starlight Cafe. The patio is being enclosed to allow for more air-conditioned seating for the restaurant. Construction has been ongoing for two weeks now and the project is slated for completion by the end of February, just in time for the start of the busy Spring Break period. There’s one more news item to report out of Magic Kingdom, and for this one we follow the hub over to Adventureland. Agrabah Bazaar recently closed up shop for a month-long refurbishment, with the store scheduled to re-open on Friday February 14th. During the closure to Agrabah Bazaar, the Aladdin and Jasmine meet and greet will be temporarily relocated to the porch of the nearby Adventureland Veranda. Time to hop aboard the Monorail and make our way over to Epcot for another update on World Showcase’s newest dining location: Spice Road Table. In the December 11th edition of the Newswire, I detailed plans for the restaurant’s layout, decor, and seating capacity. I also reported that construction at the Morocco pavilion was nearing completion with the restaurant’s opening imminent by the turn of the calendar year. Well, last week Spice Road Table opened its doors and served its first Guests. The restaurant is open for lunch and dinner. Guests are seated and served on a first-come, first-served basis, as advance reservations are not available at this time. Portions are quite small, with plates ranging from an average of $9.00-$12.00. The most expensive plate on the menu is the “Chef’s Special.” Priced at $16.00, this dish offers you with the choice of one of two delicious platters. You can treat your tastebuds to the “Mogodor Sampler” of mussels tagine, salted cod croquettes, and fried calamari, or you can indulge in the “Tingis Sampler” of Merguez sausage, Harissa chicken roll, and lamb slider. Beverages are also on the menu, with a wide variety of Mediterranean beers and wines available to choose from. You can also quench your thirst with an organic sangria, your choice of red, white, or sparkling. And if there’s any room left over, you can treat your sweet tooth to one of three delicious desserts. Choose from the chocolate pyramid with almond ice cream, the safron and lemon custard, or the almond and rosewater cake. As I mentioned earlier, portions are quite small. So if you’re packing an appetite plan on getting several plates. But if you’re looking for a quick snack or exotic drink in a beautiful setting then Spice Road Table is sure to become one of your favorite dining spots! What is your favorite mode of transportation at WDW? What is your favorite slow boat ride attraction at WDW? Don Myers covers news and recent events in Walt Disney World. He has been enamored with the World of Disney since his first trip to WDW in 1986. As they say, the rest is history! Don also has been a contributing writer for Celebrations magazine since 2009. I LOVE Avatar! Can’t wait to see it in 2017, once there is more news about it please include it in a future post! !